The Student Hub welcomes students who want to help by volunteering their time and skills to assist other students. 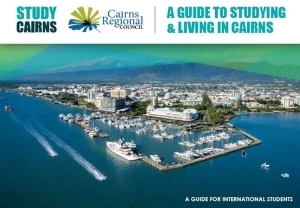 Volunteers can help share information about living, studying and working in Cairns, such as where to go, what to see and how to get around. They might also be called upon to provide contact information for course enrollments or part-time work opportunities. There may be additional volunteer roles at Study Cairns events to ensure a successful and smooth event delivery. Volunteers undertake a variety of roles and can assist with functions including marshalling delegates, participant registration, food and beverage stations, logistics, event information, event coordination and much more. Register your interest in volunteering now!